The controversial movie 'The Interview,' which depicts the fictional assassination of North Korean leader Kim Jong-un, will be released in UK cinemas on February 6, Sony Pictures has announced. The movie, starring Seth Rogen and James Franco, was initially withdrawn by the film company after it was targeted by hackers in November 2014. The hacking group, calling themselves 'Guardians of the Peace,' threatened to launch a terrorist attack similar to 9/11 if the film was released. 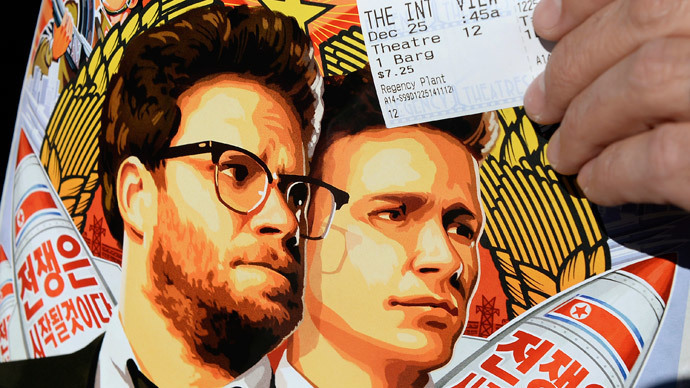 Sony withdrew the film in the US after data – including Social Security numbers, the company's salary information, and embarrassing email correspondence – was posted online. Sony backtracked, however, opting to make it available online in the US as video on demand. The company announced the film has made $31 million (£20.5 million) from the digital distribution, making it Sony's highest grossing online release ever. Its limited theatrical release brought in a further $5 million (£3.3 million), against around $75 million (£49.7 million) in total production and marketing costs. Sony just confirmed with us that The Interview will be released in the UK on February 6, only in cinemas. As a result of the scandal, the US placed sanctions on three North Korean organizations and 10 individuals. North Korea has attacked the decision to impose sanctions, saying the US is “groundlessly stirring up bad blood towards” Pyongyang.